Chipping in for Children is thrilled to have raised over $1 million in total proceeds over the last 7 years! 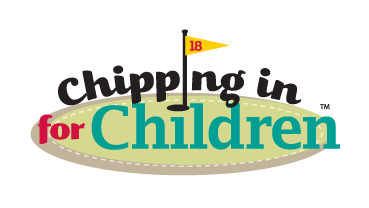 Be a champion for children...sign up for the 7th Annual "Chipping in for Children" Golf Tournament to raise money for Children's Miracle Network Hospitals. Walmart and Sam’s Club share a basic belief - that every child deserves the chance to live better. That’s why they have supported Children’s Miracle Network Hospitals for 30 years – raising nearly a billion dollars for Children’s Miracle Network Hospitals in the process. Each year, thousands of children receive treatment at Children's Miracle Network partner hospitals like St. Louis Children's Hospital, SSM Health Cardinal Glennon Children's Hospital in St. Louis, MU Children's Hospital in Columbia, MO, HSHS St. John's Children's Hospital in Springfield, IL and many more. Children's Miracle Network funds are used to help provide patient care and services to help improve the lives of hospitalized children and their families. ©2017 Chipping in for Children is a registered trademark of Cliffedge Marketing, LLC.